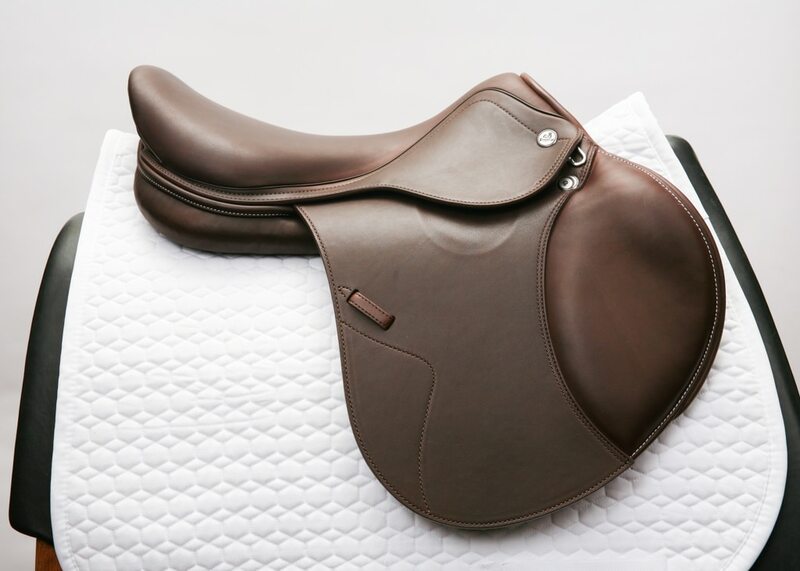 This saddle provides maximum comfort for the horse and the rider thanks to its new X-technology features. New X-technology tree has two enlarged elastic membranes filled with special shock-absorbing material in the area beneath the rider’s hips to help cushion impacts and enhance comfort for the rider. “Relief” aperture toward the front of the tree is filled with additional stuffing to provide greater comfort for the horse. Rear of the seat has a broader base to further increase the rider’s comfort. Fine Italian Calfskin leather provides better grip. New thinner panels have a layer of elastic honeycomb material and elastic sponge cloth as well as synthetic wool flocking, which provides maximum shock absorption and resiliency while allowing closer contact. Broader supporting base of the panels, along their entire length, allows the weight of the rider to be more evenly distributed. Panels are integrated with the underflaps to provide improved close contact. 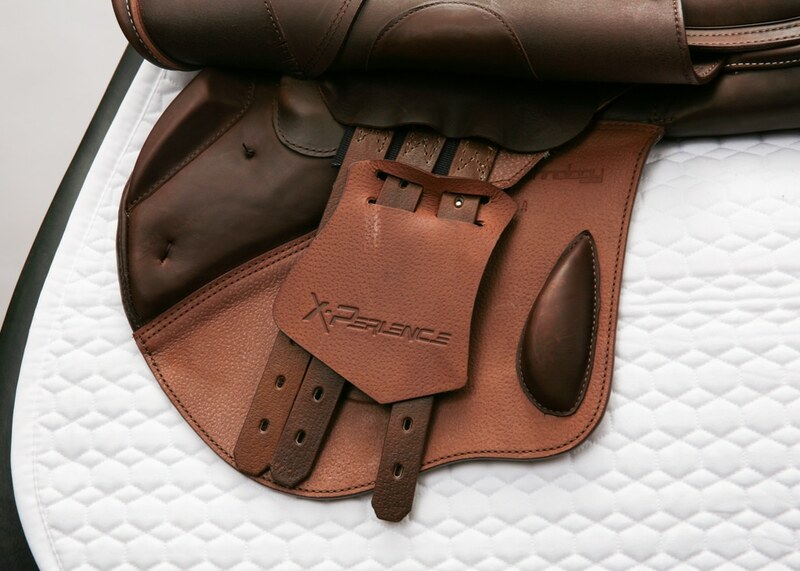 Special order options: The Prestige X-Perience saddle may be ordered with medium blocks. 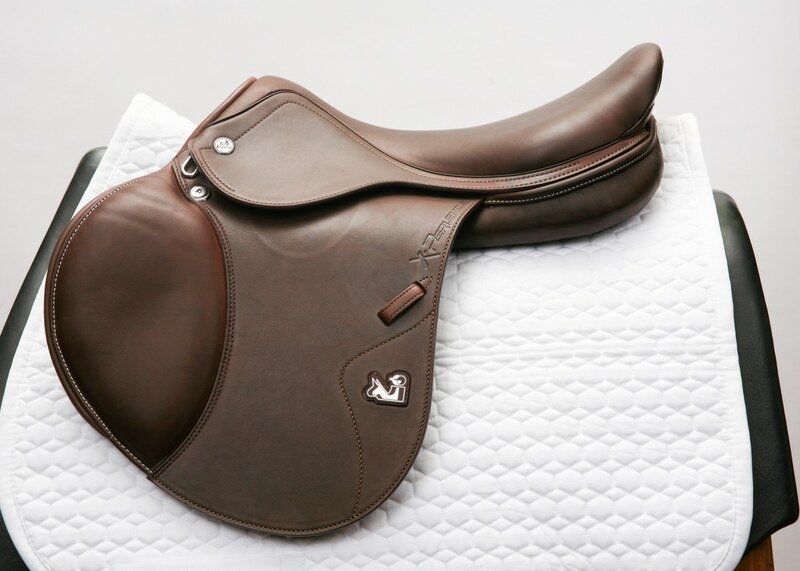 The saddle also may be ordered with new Super 4.5mm thick, printed, ultra-soft leather for $5,270.00. Please contact us for more information or to order any of the special order options. 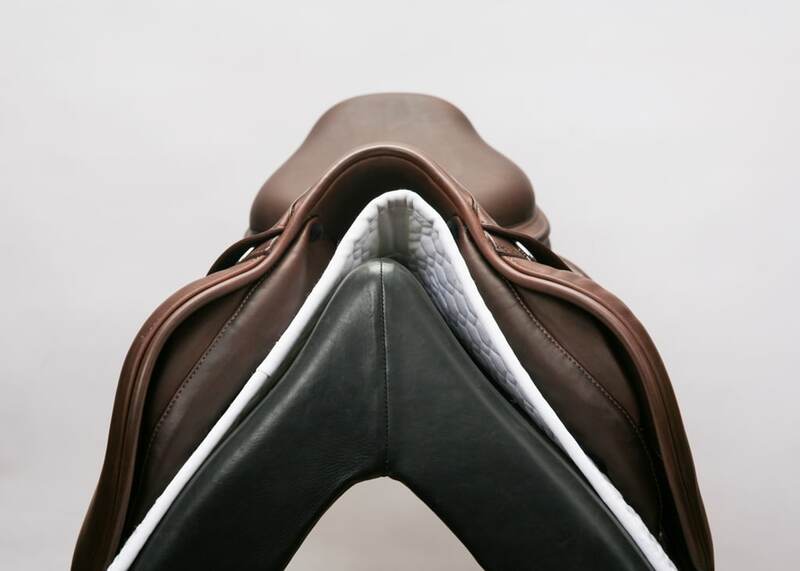 Prestige saddles are constructed using extremely supple Italian leather. 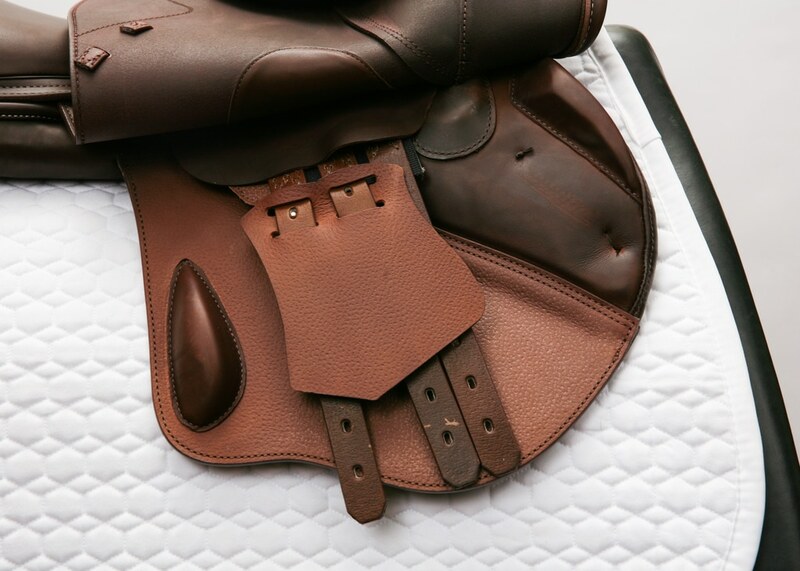 The leather is double-tanned, which gives the saddle a “broken-in” feel within a matter of hours and prolongs the life of the saddle. Prestige seats are padded with a special latex rubber with a high absorption coefficient and wide weight bearing surface. Prestige trees are made of a composite synthetic fiber with a degree of elasticity that has a distinct advantage over trees made from natural products. Every injection-molded Prestige tree is consistently symmetrical and precisely balanced. Prestige panels are flocked with a synthetic fiber with memory that works to minimize clumping, alleviate pressure points, and reduce the need for frequent reflocking. Prestige recognizes the need for a delicate, yet closer means of communication between horse and rider. Modern horses are more sensitive than their cold-blooded predecessors and stand a higher risk of injury. 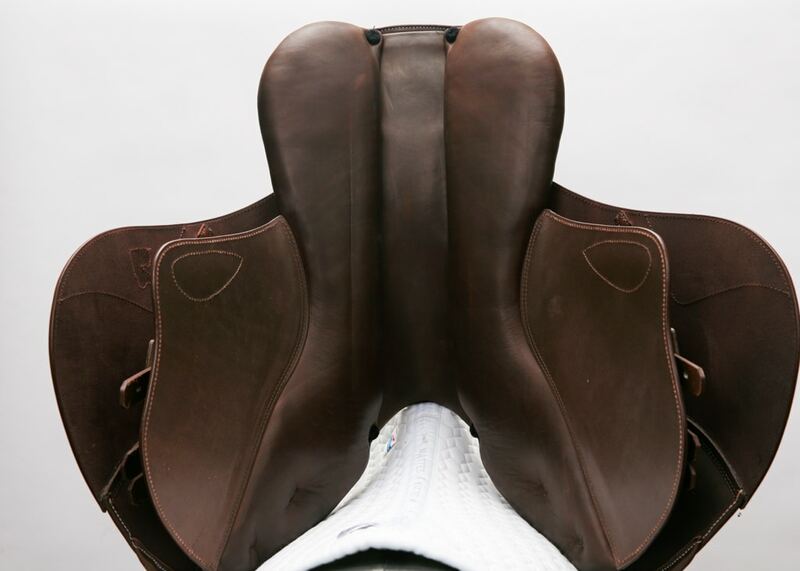 Together with veterinary surgeons, the dedicated Prestige team shifted the point of balance toward the front of the saddle. Doing so allows the horse to bear the burden of the rider’s weight on the strongest part of its back instead of on the weakest part to the rear of the saddle beneath the cantle. Due to a high content of natural oil, Prestige saddles require less maintenance than their traditional counterparts providing the environment is fresh, dry, and dust-free. Prestige does not recommend daily cleaning. The application of glycerine or oil-based soaps is strongly discouraged. Prestige recommends the use of Prestige Leather Balsam as needed. Sparing no expense, Prestige studies each saddle tree for stress and resiliency and offers a lifetime guarantee against breakage not due to accident. 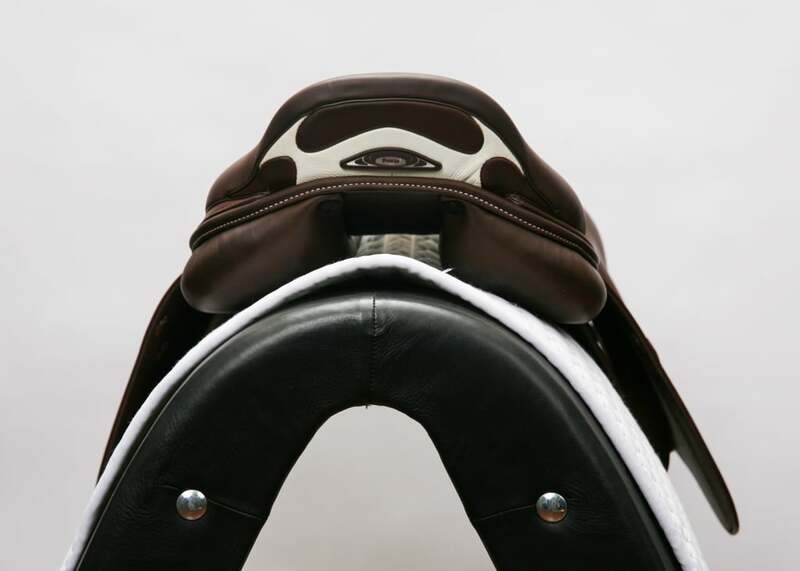 The leather on each Prestige saddle is protected by a two-year warranty against manufacturer defects.